I've spent all day trying to set up a Foundation project with Sass in WebStormand I keep running into this wall: in my _settings.scss file, I get an error message at line 13. The error message is this: "Cannot resolve import into sass/scss file." 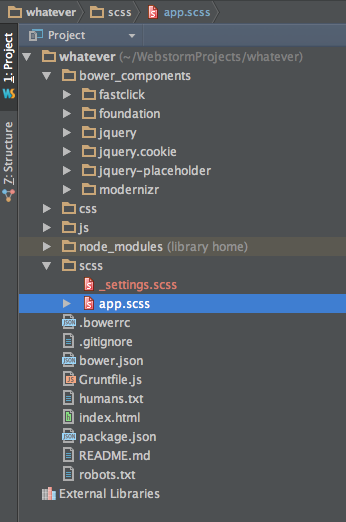 error _settings.scss (Line 13: File to import not found or unreadable: foundation/functions.